We’ve talked previously about determining your child’s learning style to help narrow down your options for curriculum. There are so many options available these days that it can be difficult to choose! This article addresses the visual learning style and suggests curriculum options that might be a good fit for your visual learner(s). Children who are visual learners need to see things in order to learn. I’ve given some very basic information about each curriculum, so if it looks like it might be a good fit for your student(s), be sure to click the link to get more details! Also, keep in mind that many young children are great kinesthetic learners, and their learning style preferences may not develop until they’re a little older–possibly during the late elementary or even middle school years. So if you have a young child, kinesthetic may be the way to go! 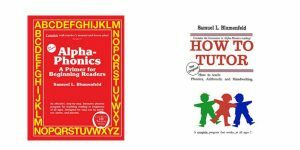 And if you’re interested in unit studies or all-in-one homeschool curriculum, you’ll find some great suggestions here! If you think you may have an auditory learner on your hands, you may be right if he or she enjoys listening to stories, listening to music in order to learn, is good at listening to directions (and is able to follow them reasonably well for his/her age). These students may enjoy talking (or singing) to themselves and/or others. 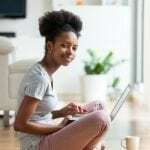 They may lose concentration easily–especially if they’re doing school work in a room in which people are talking or making noise. These students may whisper out loud as they read or move their lips as they read silently. They are usually good at remembering people’s names. • Beautifully illustrated books that are simple and uncluttered (so they will appeal to visual learners but are also suitable for visual learners who don’t like too much color or who are distracted by too much color or by “busy” looking pages). • This curriculum is extremely simple! Children learn the sounds of a few letters at a time, and then they read lists of words using the letters they were taught. The word lists do include “made up” words in order to practice certain combinations, but I used this to teach my son to read many years ago, and he thought the made up words were great fun! • This is wonderful for a “no-nonsense” child who wants to learn to read but doesn’t care for all the “bells and whistles” that some curriculums have. • Very simple and uncluttered pages with (mostly) word lists. • This curriculum isn’t beautiful or colorful, but if your child is like my son and simply wants to learn to read as quickly as possible and isn’t interested in games or other hands-on activities/practice, this may be perfect for you. See information for Alpha Phonics (above) for information about how this curriculum works. 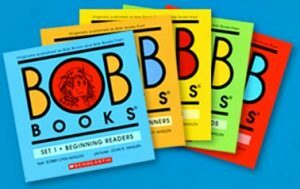 • These readers are good for students who enjoy simple books without clutter and color. • Simple black-and-white drawings are appealing but not overwhelming (and can be colored by the student if desired). 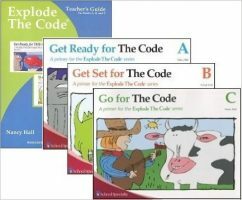 • Go along well with most phonics-based curriculums (but probably aren’t the best to use as stand-alone curriculum except for very young children who are beginning readers). 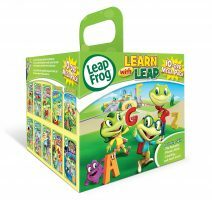 • While these are not technically “curriculum,” they are great for teaching your child, especially visual learners, phonics. • They are very colorful and entertaining. • Great for visual learners and auditory learners too! • Good practice for early readers. • Uses color but is not overwhelming. 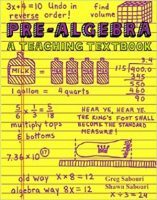 • Teacher’s edition books contain notes for adjusting instruction for different learning styles. • Optional wall chart and activity books for more visual activities/ideas. 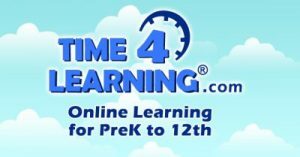 Age/Grade Levels: This is an online program covering pre-K through high school. • For upper level courses, lessons are usually presented by a teacher. The teacher then uses images, diagrams, computer graphics, etc. to aid in teaching. • This curriculum is aligned with national and state standards, so you may encounter some information/ideas (such as evolution) that may conflict with your own convictions or beliefs. • Uses multi-sensory activities that appeal to visual learners (as well as other types of learners) for all levels. • Fun videos with catchy lyrics! • Grammar rules are set to music (great for auditory learners! ), but the videos are also very visually appealing. They are colorful but not overwhelming. • This is a highly structured program that may not be a great fit for all learners, but those who enjoy more traditional textbook/workbook curriculum may love it! • Uses lots of diagraming and labeling. • “Jingles” (short songs) for learning the parts of speech are great for auditory learners, but visual learners may also enjoy reading (or even writing) these jingles. • Uses a combination of types of activities, questions, written work, diagramming, jingles, etc. to help children of all learning styles. 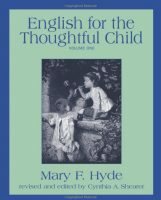 • This Charlotte Mason-style curriculum uses a mixture of language exercises, written composition, narration, and memorization to appeal to children of all learning styles. It includes pictures that are used as prompts for discussion, narration, and writing in some lessons (a definite plus for visual learners!). • Incorporates other subjects/lessons, which makes English more interesting and more “real life.” For example, your visual learner may enjoy the way nature, science, and geography are tied in to English lessons. • This is a wonderful way for visual learners to learn upper multiplication facts! Each number is drawn as a picture incorporating the number, and the “number people” are used in stories that help the student remember the math facts. • This is one of the few math programs that uses a variety of sensory materials all the way through the first year of algebra, so this math program may be well suited for all kinds of learners. • Great for students who don’t need colorful workbooks or who find too much color and busy-looking pages distracting. • Enrichment pages with color-by-number activities, dot-to-dot pages, etc. • Taught by CD-ROMs (that run on either PC or Mac) by audio presentations accompanied by step-by-step written explanations along with visuals showing how each problem should be done. • Textbook pages are uncluttered and simply designed so the pages aren’t overwhelming. • Cartoon illustrations are included here and there. • Some levels (Math 3 and Math 4) include a game for more practice of basic math facts. • These books and DVDs are a fantastic and fun way for young learners to get interested and learn more about science-related topics! They are colorful and entertaining, yet they are full of interesting scientific information on a variety of topics. • Available in both book format or on DVD, so your visual learner can enjoy whichever he or she likes best. • These coloring books are available for a variety of science- and nature-related topics and for a variety of age levels. • Some include a mini-course (a few pages of more in-depth information on a specific topic that is discussed in the coloring book). o CD-ROM versions (or optional multimedia companion CD-ROMs) include video clips, animations, etc. • There are several different kinds of resources from Homeschool in the Woods that might appeal to your visual learner! • These resources are unit-study-type materials that are great for all types of learners. • While many history curriculums for high school students are based solely on textbooks, workbooks, and other reading, this curriculum is multi-sensory even at the high school level. • All types of activities are included, so this curriculum might work well for all types of learners. • Online classes are available for students who enjoy interacting with other students. These classes allow for not only further discussion but also viewing/listening to other students’ presentations, art work, musical expressions, etc. • These books are full of beautiful photographs and illustrations! • There are books on various topics related to history (and other subjects too!). NOTE: You do need to be cautious, however, because some of the books include secular topics such as evolution. Thank you for your comment! I’m so glad to know this curriculum was good for your visual learner! 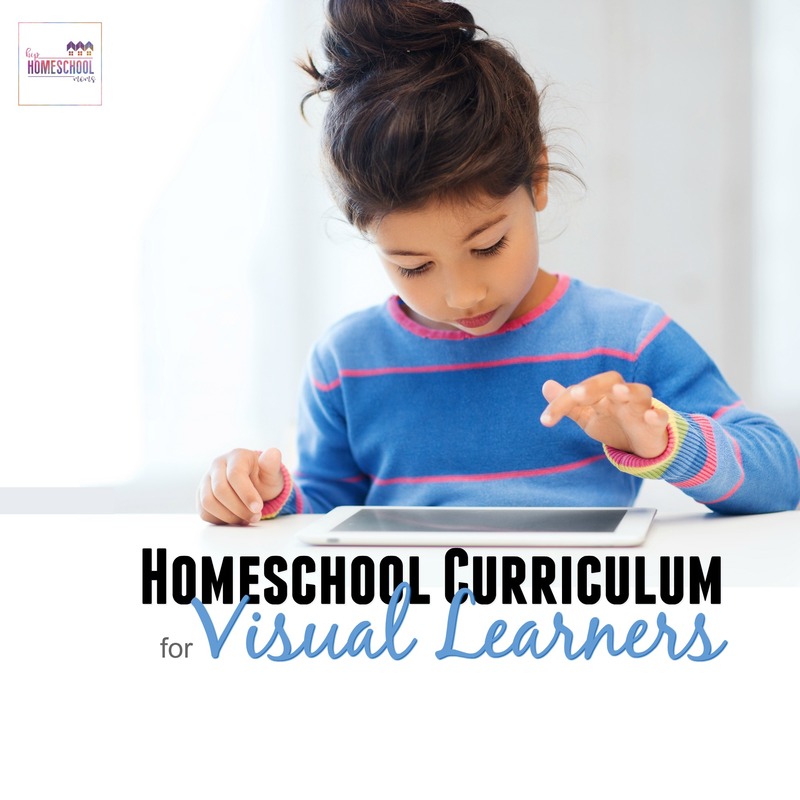 what are the best visual homeschool curriculum to use for a high school student? Thank you for all of these choices. 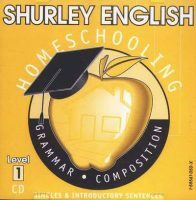 I have been a homeschooler for close to six years. I have four kids ranging from 4th grade down to a new toddler. Next year will be first year teaching my preschooler who has some “traits of autism”. He has been in the local school district for speech therapy and OT (sensory issues) but in my heart I could not wait to start homeschooling him as well. Thank you, thank you, thank you for this list. Knowing other moms who have kids with different learning abilities and strengths really empowers me to know I CAN do this. Finding you was truly an answer to prayer ;0). Oh, I’m so very glad to have been an encouragement to you!! Yes, you can do it!! Please let me know if I can help you along the way. It’s not always easy, but it’s definitely worth it. This is useful to me personally. I suspect that DS is predominantly a visual learner and DD is a auditory learner. I have been searching for several months for resources online that might help me teach them. Off to check out your curriculum suggestions based on each learning style. I love your blog as well.